Are you wanting to increase your knowledge about how to do Implementation Research? Well, there are 2 excellent resources available to help you out. Over the past decade, the science related to developing and identifying “evidence-based practices and programs” has improved- however the science related to implementing these programs with fidelity and good outcomes for consumers lag far behind. To this end, our intent is to describe the current state of the science of implementation, and identify what it will take to transmit innovative programs and practices to mental health, social services, juvenile justice, education, early childhood education, employment services, and substance abuse prevention and treatment. 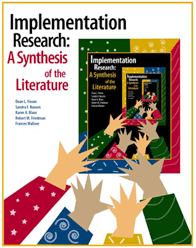 This monograph summarizes findings from the review of the research literature on implementation and proposes frameworks for understanding effective implementation processes. The results of this literature review and synthesis confirm that systematic implementation practices are essential to any national attempt to use the products of science – such as evidence-based programs – to improve the lives of its citizens. I would like to add another valuable resource for implementation research. It is the Implementation Research Toolkit, which was designed to help people learn a standard process that would lead to results that could be compared across regions and countries. It is designed to help identify system bottlenecks and the stakeholders to be involved, formulate appropriate research questions, conduct the research and develop a plan for implementing the study results. TDR, the Special Programme for Research and Training in Tropical Diseases, led this project. Over 200 researchers, academics, disease control programme managers, policy-makers, health administrators, communication scientists and journalists contributed to test and evaluate the toolkit. Major funding was provided by USAID, with additional support from the Implementation Research Platform at the World Health Organization. As a personal comment, I am encouraged that the project will include ‘10,000 street theatre performances’ – this is a strong endorsement of the importance and continued relevance of traditional methods of health communication. Also, this combined approach to health communication (including traditional as well as new media) seems likely to be more effective than either approach used alone. Which apps have you tried and which do you find most useful? These apps are (I think) primarily aimed at health professionals in high-income countries. I would be very interested to learn from HIFA members about their applicability in low-resource settings. I’m happy to share a new tool from Pathfinder International that may be of help to programs working in community- and facility-based contraceptive counseling and service provision: Cue Cards for Counseling Adults on Contraception: http://www.pathfinder.org/publications-tools/cue-cards-for-counseling-adults.html. The cue cards were developed to support a range of providers (such as facility-based providers, community health workers, pharmacists, outreach workers, counselors, and peer providers) in counseling adults on their contraceptive options. The cards can be adapted to meet local circumstances and contexts. A French version of the cards will be available in the coming months. I’d also like to remind you that programs targeting adolescents can use Pathfinder’s Cue Cards for Counseling Adolescents on Contraception<http://www.pathfinder.org/publications-tools/cue-cards-for-counseling-adolescents-on-contraception.html> (available in English, French, and Portuguese). Please share widely and feel free to email me with any questions. The Lancet: Can available interventions end preventable deaths in mothers, newborn babies, and stillbirths? As a personal comment, it seems likely that many of the basic interventions listed by the authors are often locally available but are not provided in a timely manner for those who subsequently die. The reasons for failure to provide locally available interventions include deficits in basic healthcare knowledge among citizens and health workers. I would be interested to learn more about the gap between local availability of interventions and their actual implementation. Below are selected new WHO publications (with thanks to WHO Press). All are available for free download at the URLs shown. This guideline provides recommendations for strategies for a screen-and-treat programme. It is intended primarily for policy-makers, managers, programme officers, and other professionals in the health sector who have responsibility for choosing strategies for cervical cancer prevention, at country, regional and district levels. The goal of the present guideline is to consolidate the guidance for effective interventions that are needed to reduce the global burden of prolonged labour and its consequences. The primary target audience includes health professionals responsible for developing national and local health protocols and policies, as well as obstetricians, midwives, nurses, general medical practitioners, managers of maternal and child health programmes, and public health policy-makers in all settings. This handbook is oriented to providers who already have the requisite skills and training necessary to provide safe abortion and/or treat complications of unsafe abortion. The instructions and materials in this manual are for a half-day orientation (4 hours excluding breaks) to prepare helpers to support people recently affected by very stressful events. This facilitator’s manual is to be used together with the Psychological First Aid: Guide for Field Workers. This report shows how, on a daily basis, eHealth innovations are improving access to care and assisting women to take control of their own health. Advances such as these are providing pregnant women, mothers and young children with better health care services and advice. This publication is based on the 2013 WHO/ITU joint survey that explored the use of eHealth for women’s and children’s health in countries that are covered by the Commission on Information and Accountability for Women’s and Children’s Health (CoIA). A new study from Bangladesh looks at the potential for toll-free mobile telephony to reduce maternal and newborn deaths, enabling mothers and birth attendants to get help and advice in emergencies. Below is the citation and abstract. The full text is open-access. Background: Toll free mobile telephone intervention to support mothers in pregnancy and delivery period was tested in one sub district of Bangladesh. Qualitative research was conducted to measure the changes of mobile phone use in increasing communication for maternal and neonatal complications. Methods: In-depth interviews were conducted among twelve Community Skilled Birth Attendants and fourteen mothers along with their husbands prior to intervention. At intervention end, six Community Skilled Birth Attendants were purposively selected for in-depth interview. Semi structured interviews were conducted among all 27 Community Skilled Birth Attendants engaged in the intervention. One Focus Group Discussion was conducted with 10 recently delivered mothers. Thematic analysis and triangulation of different responses were conducted. Results: Prior to intervention, Community Skilled Birth Attendants reported that mobile communication was not a norm. It was also revealed that poor mothers had poor accessibility to mobile services. Mothers, who communicated through mobile phone with providers noted irritability from Community Skilled Birth Attendants and sometimes found phones switched off. At the end of the project, 85% of mothers who had attended orientation sessions of the intervention communicated with Community Skilled Birth Attendants through mobile phones during maternal health complications. Once a complication is reported or anticipated over phone, Community Skilled Birth Attendants either made a prompt visit to mothers or advised for direct referral. More than 80% Community Skilled Birth Attendants communicated with Solution Linked Group for guidance on maternal health management. Prior to intervention, Solution Linked Group was not used to receive phone call from Community Skilled Birth Attendants. Community Skilled Birth Attendants were valued by the mothers. Mothers viewed that Community Skilled Birth Attendants are becoming confident in managing complication due to communication with Solution Linked Group. Conclusions: The use of mobile technology in this intervention took a leap from simply rendering information to providing more rapid services. Active participation of service providers along with mothers’ accessibility motivated both the service providers and mothers to communicate through mobile phone for maternal health issues. These altogether made the shift towards adoption of an innovation. The Global Health Network has launched a brand new, interactive Global Health Research Process Map, the first digital toolkit designed to enable researchers anywhere in the world to initiate rigorous global health research studies. As the HIFA community know all too well, health research is often lacking in the regions where evidence to improve health is needed most. Crucial evidence is not being generated because doctors and nurses lack access to training, information, and support. Effort is also regularly duplicated or conducted using different criteria in different territories and studies, and sometimes it falls by the wayside from lack of simple resources and guidance on best practice. The Global Health Research Process Map (http://processmap.org/) is set to change this. It’s an open-access internationally-available online resource that guides every process and method needed to initiate a health research study. For each step researchers and their staff are provided with the information, support and training that they need to successfully run a health study. Researchers will also gain the opportunity to engage with their peers along the way, aiding collaboration and the spread of ideas. The Process Map was released just over one week ago, and has already generated nearly 2,500 views from around the world. It is the product of four years of best practice gathered and refined by the research community who use the pioneering Global Health Network to guide and support their effort to conduct research in challenging settings. The Global Health Network works like an online science park for exchanging knowledge, sharing research methods and facilitating collaboration among global health professionals to fuel faster and better evidence to improve health. The Global Health Network facilitates global partnerships between researchers ­ allowing researchers in low-resource settings and those with more support to learn from each other ­ and conduct research studies in places where this is difficult and unusual. The Process Map is a pioneering research tool that centralises the information and resources that researchers anywhere in the world need to develop and initiate rigorous and effective global health studies. 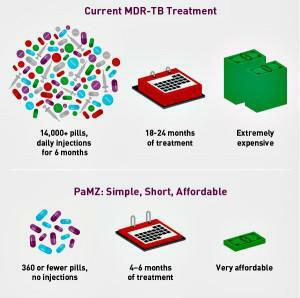 It has the potential to revolutionise the current process, speeding the development of new drugs and vaccines, and improving how diseases are managed. With this toolkit, researchers can access the guidance, training and support that they need in order to run their own studies. 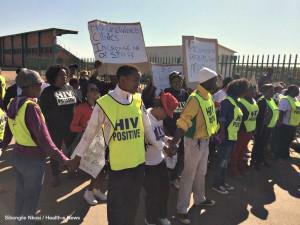 This is important because there is much evidence that shows that locally-led research rarely happens in low-income settings because health workers lack research skills and any access to training and support. Therefore the Global Health Network is meeting that gap and the Global Health Research Process Map will take them through the process of conducting accurate research, step-by-step. Visit the tool today, and click on each node to access formally written information, links to eLearning courses, guidance articles, discussions, blogs, up-to-date news, and all sorts of tools and templates which will help you complete each step. As with everything else on the Global Health Network, it’s completely free and open-access, and always will be. Your feedback is always greatly appreciated, so feel free to have a look and leave comments, either here or on the map itself.